Issuers need to balance eCommerce payment transaction security and a smooth customer checkout experience. The crux of the matter is how to provide a seamless checkout experience for legitimate customers so they won’t abandon their transaction or use a different form of payment while at the same time stopping illegitimate attempts to transact. The use of behavior-based authentication to determine which transactions should be impacted by requiring the customer to go through additional means of authentication is critical for reducing customer friction while creating better assurance that the transaction is legitimate. Rules are an important component when providing this risk- and behavior-based authentication. 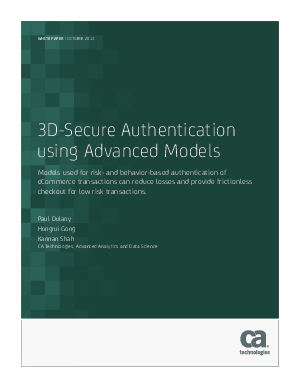 When models are added, and used to guide the application of risk-based rules, the impact upon illegitimate authentication attempts can be greatly increased while the impact on legitimate customers is decreased, providing a better experience for the cardholder and loss reduction for the issuer.